Attention INVESTORS and LANDLORDS...Don't Miss This Auction! 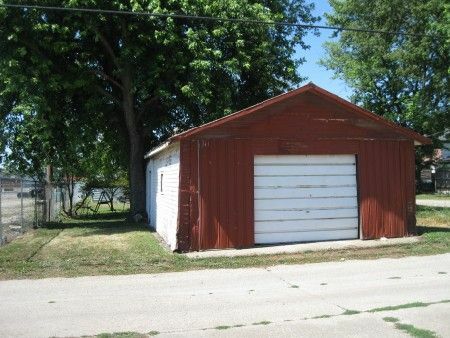 $20,000 Minimum Bid for Two Adjacent Homes. Live in one and rent the other! Two adjoining homes sold as a whole - situated on approx. 41.5' x 198' level City lot (adjacent to MADRU PLUMBING SUPPLY storage lot). 322 E Main St Chillicothe OH, being a two story 8 room 3 bedroom 1 ½ bath home. The home offers a large front room; a spacious living room; kitchen with cabinetry; a utility room with toilet and washer dryer hook up, home equipped with a 100 AMP breaker box; Upstairs offers three bedrooms with closets and an entertainment room; a full bath compliments the upstairs with tub, sink with vanity, toilet and added storage with shelving. The home also offers a front covered concrete porch, and enclosed back porch with wood floor and access to backyard. 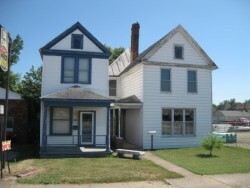 324 E Main St Chillicothe OH, being a two story 6 room 2 bedroom 1 bath home. The home offers a front covered concrete porch; newly carpeted front room; large living room; kitchen with top and bottom cabinetry, walk in pantry, double sink, and washer/dryer hookup; Upstairs offers two bedrooms with closets; storage room with shelves and racks making a large walk-in closet; also a full bath with claw foot tub, sink with vanity, and toilet; home equipped with 100 AMP breaker box. The property also offers a detached 1 ½ car garage with overhead door in the rear of the property. The garage has electric service running from the 322 E Main St home. The property’s large fenced in enclosed back yard has a small grape vineyard situated on the west side of the back yard. Real Estate Terms: Terms: $3,500 down at time of sale; balance & possession at closing by 8/28/12; sold AS-IS; offered free & clear prior to closing; no buyer contingencies exist.